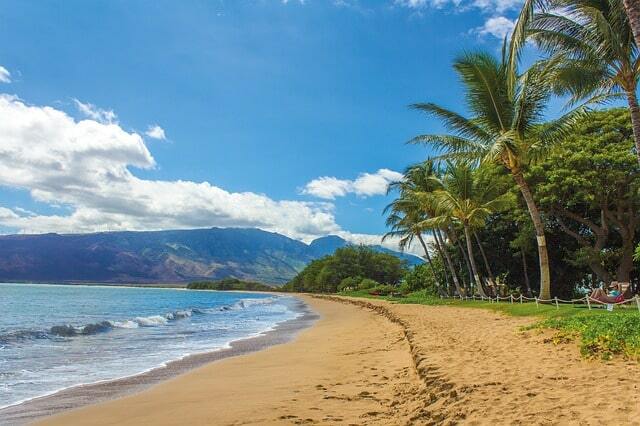 Have you ever thought of moving to Hawaii and specifically moving to Maui? The island of Maui is the second-largest one in the Hawaiian archipelago and that means sandy beaches and a beautiful ocean at your doorstep, gorgeous weather and sunshine all year round and a laid-back lifestyle. Sounds great, isn’t it? But what if you have a family? How about moving your family to Maui? Things no longer seem that simple. 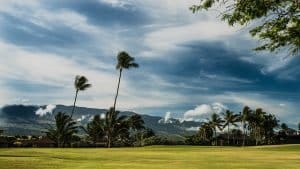 So let’s take a look at pros and cons when it comes to a family decision to settle down on the island of Maui. So you’re planning on moving your family to Maui? Peaceful life away from big cities? Yes, as long as it doesn’t limit your options. Maui is home to places such as Kahului, Wailuku, Kihei, Lahaina, etc. Ever heard of any of those? The largest one is Kahului, with just above 26,000 people living there and it’s considered to be the commercial and financial hub of the island. The seat of Maui County is Wailuku, so that would be the administrative center of the island. Compare this to a big bustling city such as New York, LA or Dallas. It’s a totally different world! But the best part is that today you can be living on a small tropical island and work for a company based in one of those big cities. Living in a small town does not limit your professional options any longer, so you get to enjoy the best of both worlds. Of course, this is not applicable to every job, but there are a lot of jobs out there today where you can work remotely. So unless you’re a fan of a big city life specifically, moving your family to Maui might be a very good idea. 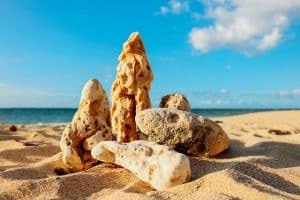 The process of moving your family to Maui? Yes, if you’re looking forward to your new life! Here comes the not so fun part of the story. You cannot just teleport yourself and your family to Maui and just start a new life over there, first, you need to get there. With all your belongings. So brace yourself. Just pack the absolute necessities and take them with you. Sounds simple, but nothing about it is really just that simple. You’d need to leave so many things behind and unless you’re a true minimalist at heart, this is going to be very hard. It would take time and efforts to sell, donate, pass onto friends and family or toss all those things away. Then you’ll need to start over and buy everything you need on the island. Keep in mind it’s a small island and shopping options probably do not match those in the city you’re coming from. So unless you’re totally unattached to almost anything material in this world, this might not be the best idea for you. This enables you to take more of your belongings to your new home on Maui, yet it keeps the price quite affordable. If you manage to squeeze in all you want to take onto a 4’x4’x6′ pallet, it will take about a month until they arrive on Maui. …and take even more stuff with you. If you can afford it and cannot leave many of your things behind, then this is the option for you. Crates normally range from 20′ to 40′. If moving your family to Maui this way, you can expect to see your belongings at your new home in about 2-3 weeks. Maui is such a beautiful place. What about moving locally on the island of Maui? If you’re about to move locally on the island of Maui, start with searching for something like “find decent movers near me”. Moving locally is obviously a lot cheaper and a lot easier, but it doesn’t come with no challenges either. You still need to pack all your belongings, have them moved to your new home and unpack them all over again. And moreover, you need to buy or rent your new home first. It’s still going to be a lot easier than for someone coming to Maui from elsewhere and here’s why. 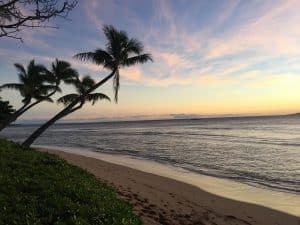 Renting a home in Maui? Yes, if this is what you want. Not as easy as you might think at first and not even close – but still manageable. The biggest obstacle is that you could hardly rent a property on Maui before getting there. Surprising? Not really. People who live in small communities are much more used to dealing with people they know than with strangers. This means you’ll need to get to Maui and then start searching for your new home. If possible, consider traveling there prior to taking your family and find the place where you’d live. There are great sunsets on the island of Maui. Living on the island of Maui? Yes, if you’re realistic about it. Yes, you’ll be living on a tropical island and that’s great, but you need to be realistic about it. You’re not going there for a vacation, but to live – and work. And there’s even more than that. Living on Maui is expensive, so you might have to work overtime or take a second job. Meaning, you will probably have a lot less time for the beach and outdoor activities than you imagined. So the good news is you’ll still be able to enjoy amazing beaches, gorgeous sunsets, great weather, hiking, biking, etc. The bad news is there will be much fewer occasions to do that. Consider all of this before moving your family to Maui and make up your mind if you’re going to be happy that way. If you decide to go on and move, make sure you don’t end up disappointed and frustrated. On the other hand, your children will love it with no exception. They will be able to spend a lot of time outdoors and at the beach and will have their best life over there. They will also be spared of some the big cities related issues. You would not need to take them to play dates. In a small community like that they would be able to just go outside and play with their friends. They will grow more independent and you would be less concerned about anything and everything. Moving your family to Maui is a good choice. It really is! So, pack your belongings and just go!